The following tool is useful if your computer is not booting up and you are not sure whether the hard disk is bad or the RAM! The following tool is called Hitachi Drive Fitness Tool, it is used to quickly and reliably tests SCSI, IDE and SATA drives. The DFT analyze function performs read tests without overwriting customer data. Hitachi Drive Fitness Tool includes utilities of Drive information and SMART operations for supported hard disk drives. * Three modes of operation. * Performs real-time analysis of your drive to quickly determine if problem exists. * Identifies system problems such as cable or temperatures. * Automatically logs significant drive parameters to track potential impacts to the drive operations (diskette version only). * Erase-boot-sector utility (Use option: Erase Boot Sector). – Note: this utility overwrites customer data to allow repair of bad sectors. * Low-level format utility (Use option: Erase Disk). * Ultrastar 10K300, Ultrastar 15K73 and DK32XX users, do not use DFT — Use the OGT Diagnostic Tool. (OGT Diagnostic Tool is a failure analysis tool for Ultrastar 10K300, Ultrastar 15K73 and DK32xx disk drives. 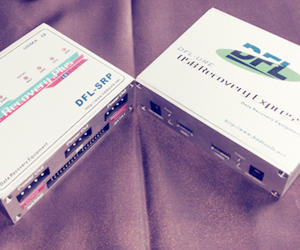 For these drives, OGT Diagnostic Tool replaces the Drive Fitness Test. OGT Diagnostic Tool (3,985 K). OGT Diagnostic Tool User’s Guide. Automatically performs necessary diagnostic testing and failure analysis. * Does not support Microdrive Digital Media products. * Supports all Travelstar HDDs, except 8E, 10E and C4K series. * Does not support Endurastar products. * Does not support external USB or Firewire attached drives. * Compatible only with x86-based processors. * Does not support the PC which loads Intel ICH9M chipset. HitachiGST are working to fix this situation. Creates self-booting media to run DFT | Read Me | Having trouble creating the bootable diskette? Creates bootable CD for Linux, Windows and other operating systems ( requires CD-RW drive and software).